Almost that time again! To all the listeners worldwide, the 2014 ENERGY 95-7 HD-2 NYE Tailgate Party Mix kicks off tomorrow afternoon! 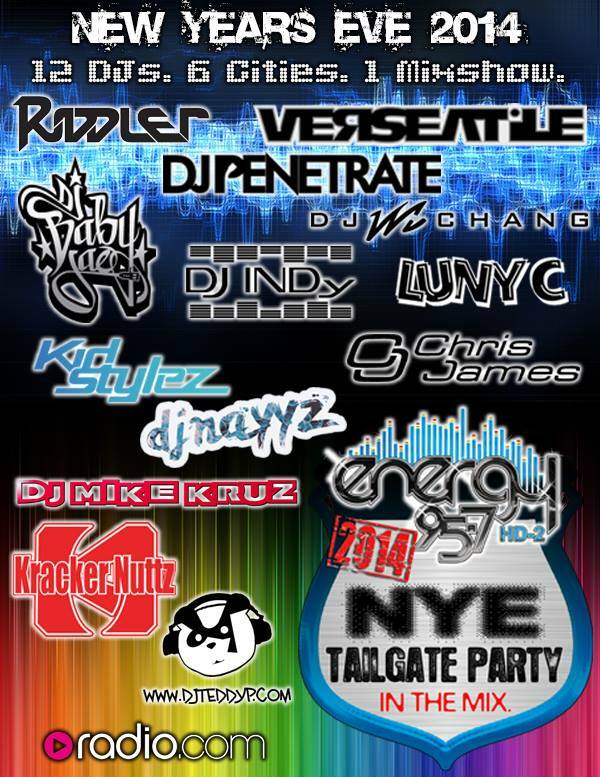 Check me out, along with 11 other specially invited DJs from across the nation, as we spin some of 2013’s best #edm tracks! Tune in and rock out!